As a Valentine’s treat, Italianni’s is treating diners by giving them free Italian Truffle Fries vouchers only on February 14. 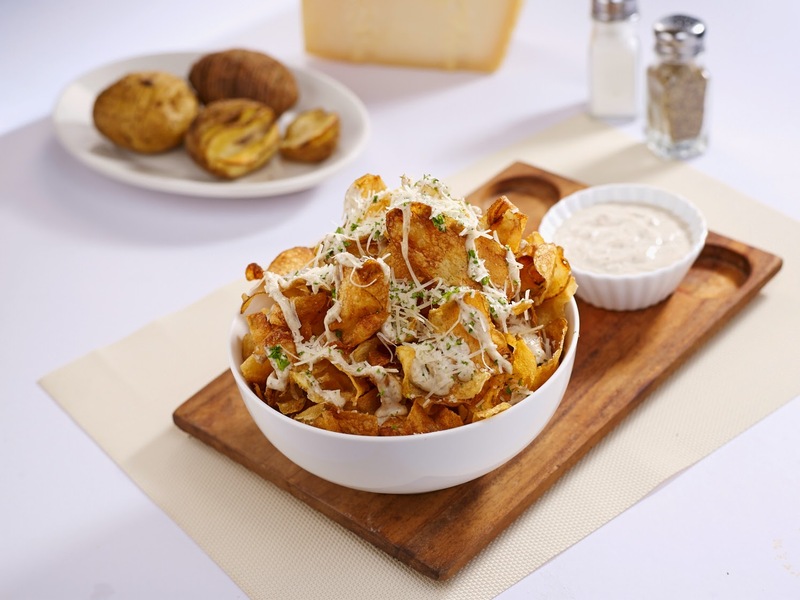 Italianni’s Italian Truffle Fries (crispy potato chips drizzled with truffle cream dressing with Italianni’s special truffle mayo dip) is rated as one of the best truffle fries in Manila by spot.ph. Diners on Valentine’s Day can get the free voucher, valued at P295, which they may use on their next visit with a minimum purchase of P750. Italian cuisine, coupled shared style dining concept known as ‘Amore de Merrier,’ made Italianni’s an instant hit. At Italianni’s they believe in making their guests feel like they’re in an Italian family-owned restaurant. Every meal starts with complimentary home-baked Tuscan and Foccacia bread served with olive oil and aged balsamic vinegar. In the Philippines, Italianni’s first opened in 1996 in Makati City and now has branches including Cebu, Davao, Angeles and Laguna. Bistro Group also introduced TGIFriday’s and Tonkatsu by Terazawa in Cagayan. Bistro also brought brands such as Village Tavern, Bulgogi Brothers, Fish and Co., Watami, Modern Shanghai, and other homegrown concepts such as Krazy Garlik to the Philippines.